Mignon Francois grew up in New Orleans East, right off of Bullard Avenue. That’s where she spent most of her childhood. 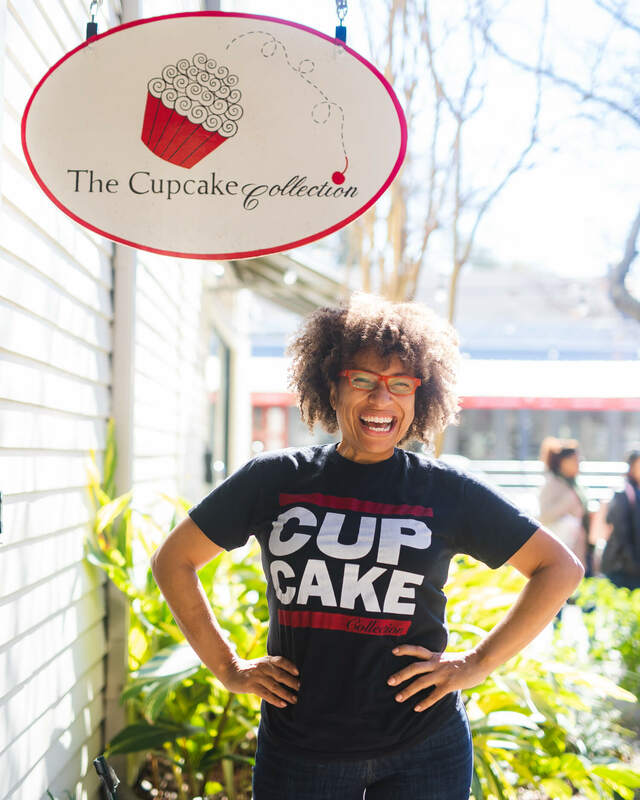 After attending Xavier University and travelling around the country with her family, Mignon settled in Nashville, TN where she opened the first Cupcake Collection location. 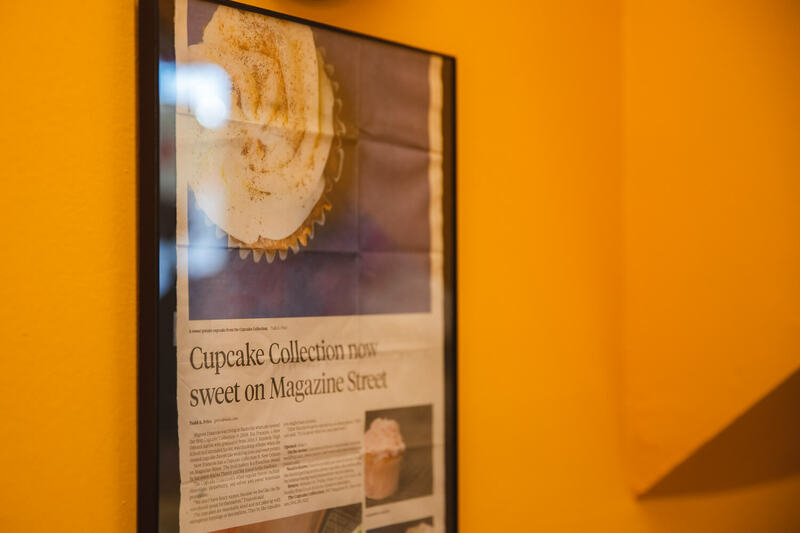 Now, after being named the “Best Cupcake In Tennessee” by Yelp, Mignon splits her time between Nashville and her hometown, running two massively successful Cupcake Collection storefronts, with goals of opening more in the future. I was drowning in debt and had just gotten divorced after 21 years of marriage. There was a financial guru on my favorite radio station talking about starting businesses with just a bake sale, and using that bake sale as capital for your business. I thought to myself, I have daughters who (at the time) were 10 & 16. They could bake everyday after school, and I could sell the treats out of the really tall window in the front of my house (like we used do in New Orleans!). We did this for a little, but after a while I realized my daughters weren’t 100% interested. And I didn’t know how to bake cakes! Not even out of the box! I called my grandma who lives in Houma, and said ‘Grandma, I need to make a cake.’ She was known in Houma for her strawberry & coconut cakes, so I knew she’d be the perfect person to ask. She told me to open up my hand. She didn’t have a recipe, but she knew all of her ingredients by memory and handfuls. I made the most amazing strawberry cake that day and wrote down all of her measurements, and turned it into my very first recipe! I was living in my Nashville house with no electricity, just running off of a generator. I would sit in darkness during the daytime so that when my kids got home from school, we still had gas to use, and they could have normalcy. I would save up on the water all day so my kids could bathe first at night and have warm water. At the same time, our neighborhood was in the middle of being revitalized. On every block, it seemed like new houses were being built. So I would see a real estate agent on my street and I’d run up to them and say ‘Hey! I’m not a baker, but I bake and I have my own bakery coming soon. Will you try my cupcakes?”. And they would try them! Little by little, they began coming to my house and asking if I was selling them! I remember only having $5 left in my savings, and a woman came to my door one day offering to buy cupcakes. I made as many as I could with the little that I had, and she bought them! That day, I turned $5 into $60. With that money, I went and bought proper utensils, like a mixing spoon. I went on to turn that $60 into $600 that week. I wound up making cupcakes for all of that woman’s clients for Christmas that year. I’ve been flipping that money ever since, and I’ve built this company to over $10 Million in sales, with no debt. And I started with no business knowledge and no experience! But I started with what I had, and that’s what you have to do. Start with what you have. Just start. 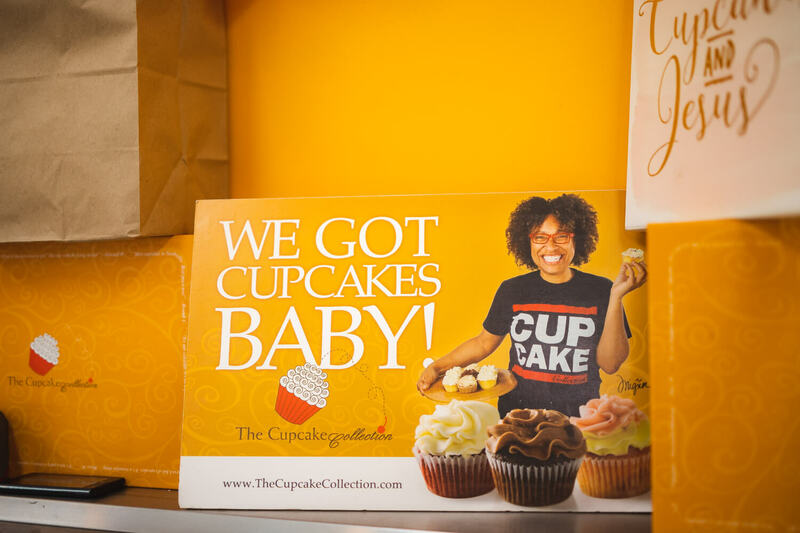 After a few years of running the Cupcake Collection in Nashville, it really was a trip back home for the Bayou Classic & Battle of the Bands that inspired me to open a location here. 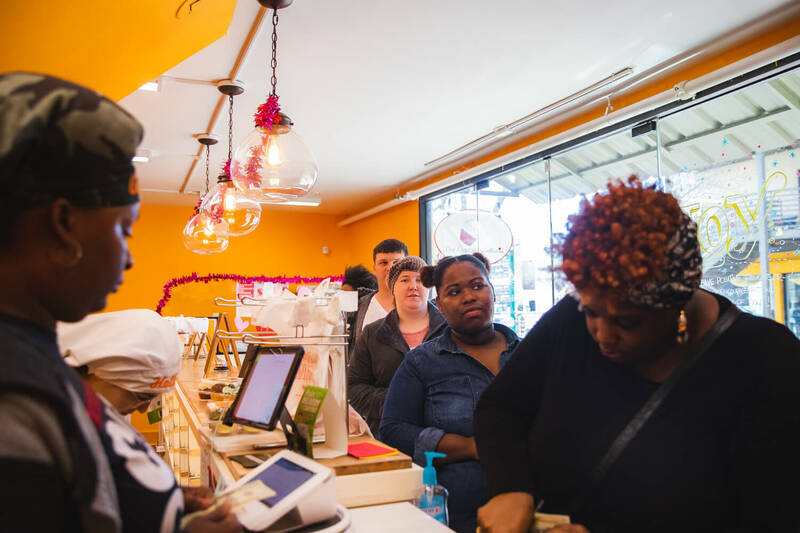 I visited a popular doughnut shop in the city that sold buttermilk drops. I had never had one before, and when I asked the cashier how they were made, she couldn’t really answer me! And I thought that was very interesting and it lit a fire inside of me. I was in an iconic city, doing an iconic thing and I was seeing a lack of knowledge in a lot of the restaurants I went to. Growing up in here, we just had neighborhood restaurants that were run by families and friends. Everyone working knew everything about their restaurant! At that point, I knew I wanted to be a part of the return of the true New Orleans! I didn’t want to complain about what I no longer saw. I wanted to be a part of the change. I wanted to bring what the city taught me back home. In a fast-paced lifestyle, where you can’t sit down and have a slice of cake with grandma, you can take that slice (or cupcake) to go! That’s what I want people to feel when they think about The Cupcake Collection. 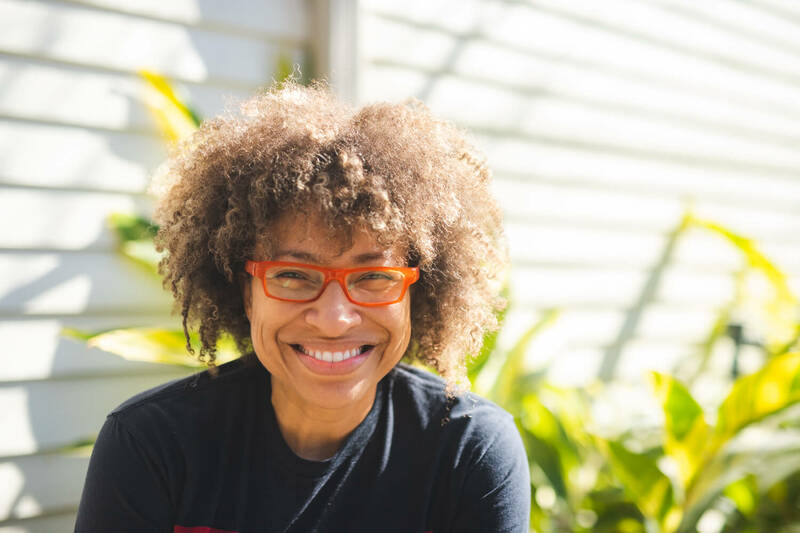 Before I decided to open my New Orleans location, I read that we ranked about 50th in the nation when it came to women-owned businesses. And when you look at statistics on black-owned business, it’s even more disparaging. And it’s not that we can’t, we just don’t know how! We don’t know what’s available to us because many of us didn’t have generations of legacy behind us to be able to say, “My Grandparents ran their business this way.” To me, it’s that grit that’s going to carry all of us to the next level! If you don’t know where to start, go to the Hispanic Chamber of Commerce. Go to the Black Chamber of Commerce. 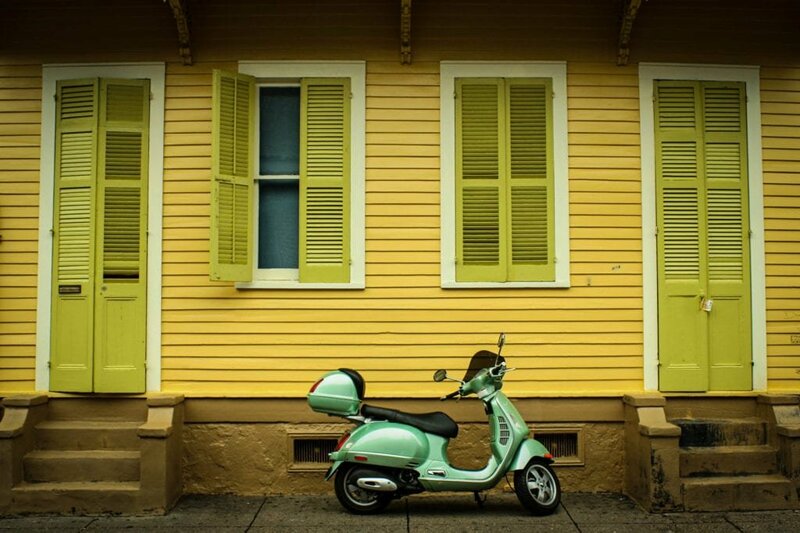 Places like New Orleans & Company and the New Orleans Business Alliance exist! There are people who are here to serve you, no matter who you are! There’s someone here who can teach you, and that’s what I want to be a representative of. For me it’s important to pay homage to my city and to infuse some of my success into the local community. I want to do that not only by providing jobs, but by being THE place people want to visit when they come to New Orleans. My typical day now starts by going down to the Entrepreneur Center in Nashville or the New Orleans Business Alliance to see how I can help. Who needs to know what they can do if they just believe? You know, when you teach people to fish, they’ll eat for a lifetime. So I want to teach young girls, and their mothers how to fish. And then that mother or that young girl can pass on the knowledge she’s learned to the next generation and so forth. 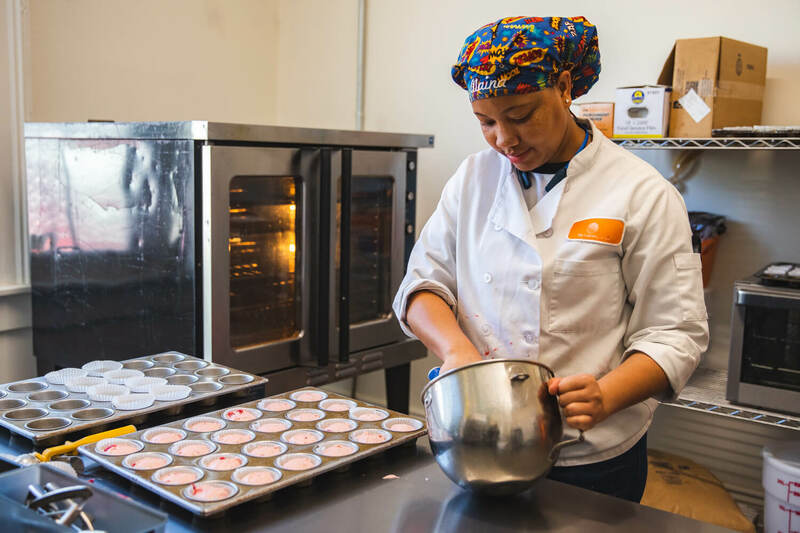 Not only do I want to ensure that I sell a lot of cupcakes, but I want to give back to aspiring entrepreneurs. I want to train people up to where they want to be. I want my employees to use my store as a stepping stone. Whatever you want to be in my stores, you can be! Why I wanted to come home to New Orleans is all based on tourism! After Katrina, many of us got spread all over the world and with that, we infused our flavor into all of these cities. There was a saying when I was growing up that ties all of this together: “In other places, you eat to live, but in New Orleans you live to eat.” And that’s what draws people here. That opportunity to have an experience that is rich culturally, historically, and food-wise! New Orleans offers a culinary experience that you just cannot get anywhere else, and being a part of telling that story matters to me. New Orleans is the epicenter of food in this nation. So if you make it here in the food realm, you can make it anywhere. And that’s why tourism and food means so much to NOLA. It’s important to keep our fabric strong, so that when people tell the story of the flavor of New Orleans, it stays consistent and stay solid. One thing I tell people is to get into a small, family-owned business. Because they will teach you everything you need to know about running a business. Everybody who’s ever worked on my team and left (in a good way) has gone on to be amazing! One has gone on to become the main pastry chef at a James Beard award-winning restaurant. One has gone on to become a HR manager for a major company. Another now works as a chef at the JW Marriot. Those are my kids! I want to stand at the bottom of the ladder for success, and hold it so they can climb to safety. My job is to hold them up so that they never have to fall!